Cities Connection Project | HOUSE A «MEHR ALS WOHNEN». ZURICH-OERLIKON. HOUSE A «MEHR ALS WOHNEN». ZURICH-OERLIKON. 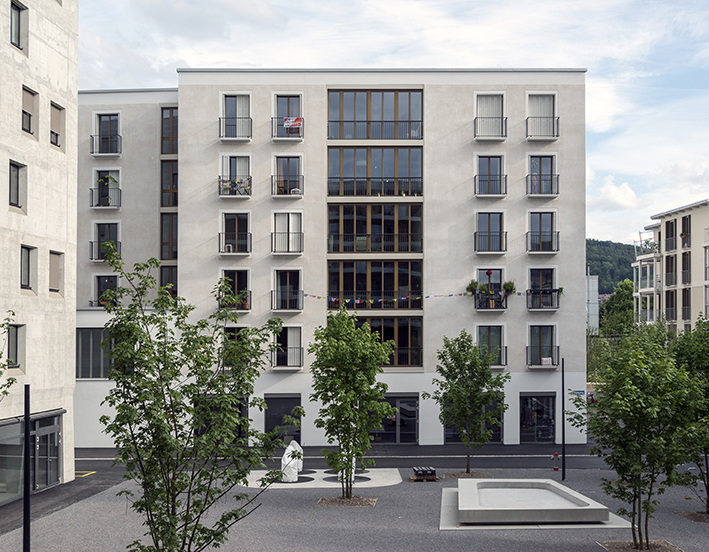 A total of 450 apartments, shops, restaurants, workshops and artist’s studios, day care centres and guesthouses are currently developed for the Hunziker Area in Zurich. We don’t want to develop an estate, our vision is a piece of a city! Where squares, alleys and green areas determine the quality of the public space, urban density is required. 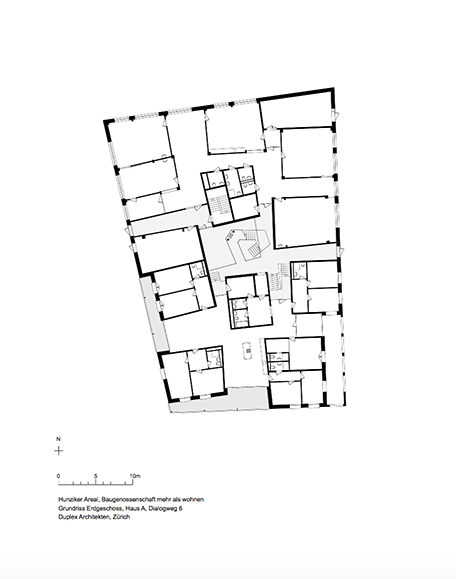 Instead of the usual large-scale forms of rows and blocks, the urban planning concept proposes a cluster of smaller detached buildings, their close arrangement forming a system of routes, squares and open spaces with a marked urban character. The tension-filled sequence of the outdoor spaces as well as the public-oriented use of ground floor areas livens up the quarter. Besides the ample provision of a wide variety of common areas, the quarter also requires individual places of retreat. The special characteristic of this project lies exactly between these opposite priorities: security and privacy on the one hand, and varied opportunities to engage in activities of the community on the other. The cluster apartments of House A are some kind of modern flat-sharing community with a generous common area (living/dining) and sleeping areas each with a separate bathroom. Smaller, private apartment satellites are coupled to larger common areas. Since the kitchens and living rooms need not be fully laid out for each private unit, less space is required. As a result, shared kitchens and joint living rooms can be planned more generously. The retreat to one’s private sphere is nonetheless possible at all times because each private room also includes an individual bathrooms and a small kitchenette.